Austin Vision Center is your source for vision care and eye disease treatment in Austin. As respected and reputable eye doctors in Austin, we're dedicated to the task of giving members of our community the finest eyecare possible. We treat a range of conditions to meet the needs of our patients. From eye infections to dry eye, we diagnose and manage treatment for our patients. For conditions we are unable to treat, we refer our patients to capable specialists. Eye infections have a variety of causes and can take different forms. Conjunctivitis is a type of eye infection that affects the conjunctiva, or the clear tissue that lines the eye. Conjunctivitis commonly affects children, and can occur because of bacteria, viruses and fungus. A sty is another type of infection that can occur when bacteria gets into the follicles of the eyelashes. Eye infections can cause redness of the eye, itching, swelling, tenderness and more. Some eye infections are treated with medicated drops, others are left to clear on their own. Glaucoma is a condition that occurs when pressure inside the eye damages the optic nerve. Glaucoma that is left untreated can result in permanent vision loss. Typically glaucoma does not become obvious until some vision has already been lost, however, a professional optometrist can diagnose this condition before symptoms become apparent. Glaucoma is diagnosed with a series of tests that measure pressure in the eye and give the optometrist a view into the inside of the eye. Glaucoma can be treated with medicated drops, pills and surgery. Cataracts occur when the lens of the eye becomes cloudy. Cataracts can destroy a patient's vision slowly, by shrouding the perceived world in a haze. As the cataract develops, the vision becomes murky, until the patient loses all sight. While the exact cause of cataracts is unclear, some people are at greater risk for cataracts than others. People with diabetes, hypertension, and a family history of cataracts are all more likely to develop cataracts. This condition is treated with surgery. Dry eye is a chronic dryness of the eyes. Dry eye can cause the eyes to be itchy, red and irritated. Dry eye is treated with special eye drops or surgery, depending on the needs of the patient. Some cases of dry eye can be cured, others are simply managed. Computer vision syndrome is a condition that occurs in people who spend a great deal of time viewing computer screens, either for their work or for entertainment or recreation. Computer vision syndrome causes eye strain, blurry vision, headaches, dry eyes and other symptoms. This condition can be treated with eye drops, lifestyle changes and other methods. 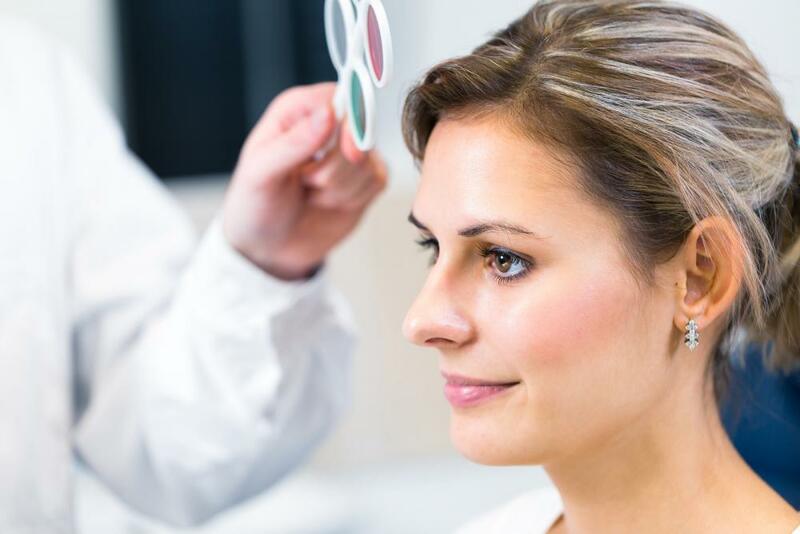 At your Austin TX optometrist, we can diagnose and treat a range of conditions. To find out more about conditions we treat, contact us today.